It’s been awhile since I have done a blog in relevance to current events, so here we go! Below is data from 2004 (link). As of 2006 China has surpassed the United States and is the leading country in CO2 emissions according to the Netherlands Environmental Assessment Agency. 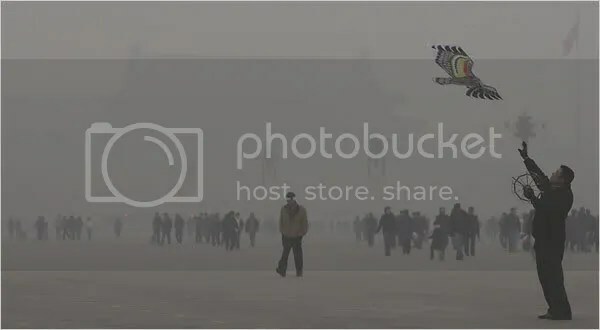 Although China’s environment has consistently been hostile, it has only become prevalent in the current news because of the upcoming 2008 Olympic Games. As stated in an article in the NY Times, “Thursday did not bring good news. The gray, acrid skies rated an eye-reddening 421 on a scale of 500, with 500 being the worst. Friday rated 500. Both days far exceeded pollution levels deemed safe by the World Health Organization. In Beijing, officials warned residents to stay indoors until Saturday, but residents here are accustomed to breathing foul air” (link). The polluted air routinely endangers the lives of the civilians and will most likely impede on the performances during the Olympic Games. According to an article in Japan Probe, “Beijing’s horrifying air pollution has driven 20 nations to have their athletes undertake pre-Olympic training in Japan instead of China” (link). Countries such as Britain, Finland, Germany, the United States and so forth are taking precautions and are choosing to hold training camps in countries other than China. Major crack downs in China have occurred in order to prevent further environmental damage; they have banned the use of plastic bags, closed down factories, instigated food safety measures and even limiting vehicles on the streets. How legit these are is quite questionable though. Will the factories really shut down? Assuming they do, will they shut down for good or is this just a temporary decision made for the Olympics? China has a long ways to go before it accomplishes any goals toward improving the environment. However, in China’s defense and in retrospect to the United States and other developed countries, it should have been obvious that China was going to have to endure high levels of pollution. China is currently a developing nation that has been going through radical changes in the past decade toward modernization. Moreover, China holds about 1.3billion people and is the largest country in the world. With just that, is anyone surprised that China only recently surpassed the US in CO2 emissions? Like any other country going through urbanization, pollution goes hand in hand. There has been no country in history to emerge as an economic power and not create a detrimental impact on the environment and their citizens. 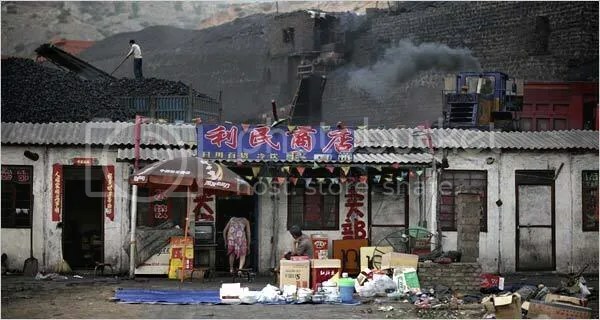 Some cities in China rarely see sun, children are more prone to become ill, shorter life expectancies, lead poisoning, and etc; these are few of the dangers that have emerged. Like China, other countries such as Japan, Korea, Russia and the US have all suffered from the effects of environmental degradation for sake of an industrializing. Each of these current powerful nations have endured drastic public health issues, the only difference today is that China’s industrial revolution has come at a time when media is at its’ peak and global warming has become a serious issue. Due to this, it should be no surprise to anyone that China’s environmental problem is so profound. Pollution in China is so vast that it has caused acrid rain to fall on even Seoul and Tokyo. So my point, since I’m now tired of typing, is that the Chinese environmental issue is obviously something to be concerned about, however people need to realize China isn’t alone when it comes to high levels of environmental degradation and pollutants that result in poor health conditions. According to the NY Times article, the US is still leading in greenhouse emissions. “Experts once thought China might overtake the United States as the world’s leading producer of greenhouse gases by 2010, possibly later. Now, the International Energy Agency has said China could become the emissions leader by the end of this year, and the Netherlands Environment Assessment Agency said China had already passed that level” (link). My prof for POL S says that Japan is industrialized, but it is much greener than the U.S. I guess it was just as bad during industrialization though. I agree Jennie, that has always been the story. A nation so powerful and yet so eco-friendly is still nowhere in sight, which is kind of sad after all these Al Gore & Global Warming agenda. Sounds more of a Talking the Walk to me. Your site is pretty interesting to me and your subject matter is very relevant. I was browsing around and came across something you might find interesting. I was guilty of 3 of them with my sites. “99% of site owners are committing these five mistakes”. http://bit.ly/ts0ScL You will be suprised how easy they are to fix.